Don't hesitate to contact us by email or call us on +33 (0) 3 85 40 55 50 right now to book your next river cruise in Italy. Italy is not the only area available with alpha-croisiere.com. Discover all the other destinations of river cruise that we can rent you. If you are not immediately ready to board for your canal boat vacations, subscribe on our newsletter. We will send you monthly some information about canal boat holidays. Rent with alpha-croisiere.com your boating holidays to enjoy one of our river and canal boats on Italian waterways. We offer the largest selection of barges on the market. Consult the list of all our river and canal boats available in Italy to find the most suitable for you and contact us for more information. The network of navigable waterways in the Veneto region is ideal for river tourism, with clearly-marked channels crossing the lagoons and virtually non-existent commercial traffic, not to mention its very few locks and drawbridges. Many are also open more or less permanently. 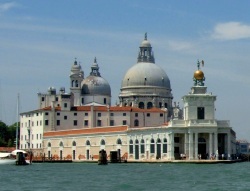 The Venetian region is very well served both by road and by rail and air. Sailing around Italy is a classic and original way of exploring one of the most prestigious cities in the world - Venice. 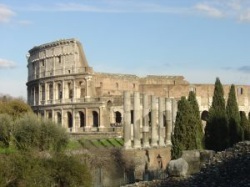 Italy is also, of course, the perfect setting for a romantic trip, a marriage proposal or a honeymoon. There is plenty of architecture, history and romanticism to be enjoyed around every corner here. 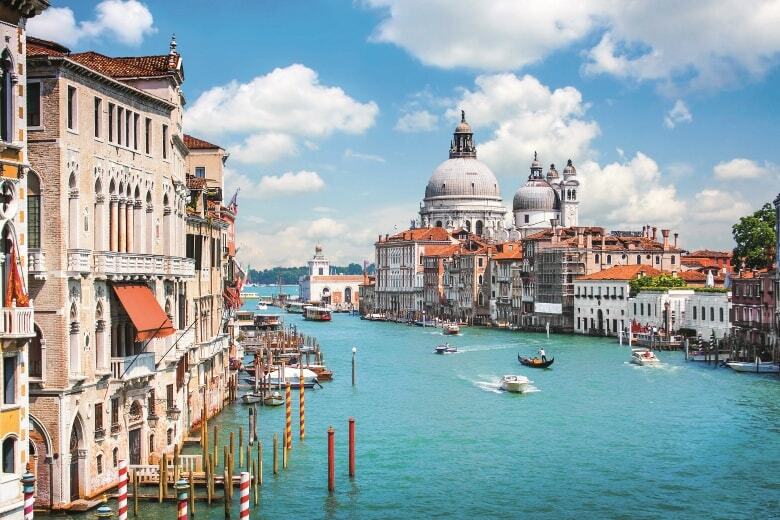 Have you ever heard of St. Mark's Square, the Bridge of Sighs and the Grand Canal? Then what are you waiting for - you're about to set off on the cruise of your life! Whether you are a pizza-lover or a great foodie, you'll have no trouble finding that traditional pizzeria you've been dreaming of or a luxury hotel serving gourmet cuisine. The UNESCO Humanity Heritage-listed Po Delta Natural Park is a great place to observe a large variety of bird species as you discover its marshes and its rich flora - a must for any visitor to the area - whilst the fishing villages built on the islands in the lagoon and the charming Mediterranean civilisation of northern Italy are also well worth exploring. Don't make the mistake of spending all your time admiring the monuments of Venice alone when the entire region is just as worthy of a visit as this flagship city. You might also like to take some time out to relax on the fine sandy beaches of the Adriatic whilst you're in the area. Don't forget your binoculars when you stop at Porto Levante, where you'll find plenty of wildlife and luxurious flora to observe in the Po Delta Natural Park. Chioggia. Don't forget your swimsuits if you're planning on checking out one of the most beautiful beaches the Adriatic has to offer, and you'd do well to make a detour to the famous fish market on the way back to stock up on supplies, too. When you get to Venezia (Venise), put down your skipper's hat and let someone else take you on a gondola ride around this world-renowned city. Remember to take some spare memory cards for your camera - you're going to need them! Unmissable attractions include St. Mark's Square and its basilica, the Doge's Palace and the Bridge of Sighs, among many others. Torcello and its Byzantine cathedral, Burano and its lace-making and, Murano and its glass-blowers are just three of the eighty islands in the Venetian Lagoon that you might like to visit with your boat. You can even sail right into the heart of the old town of Padova.